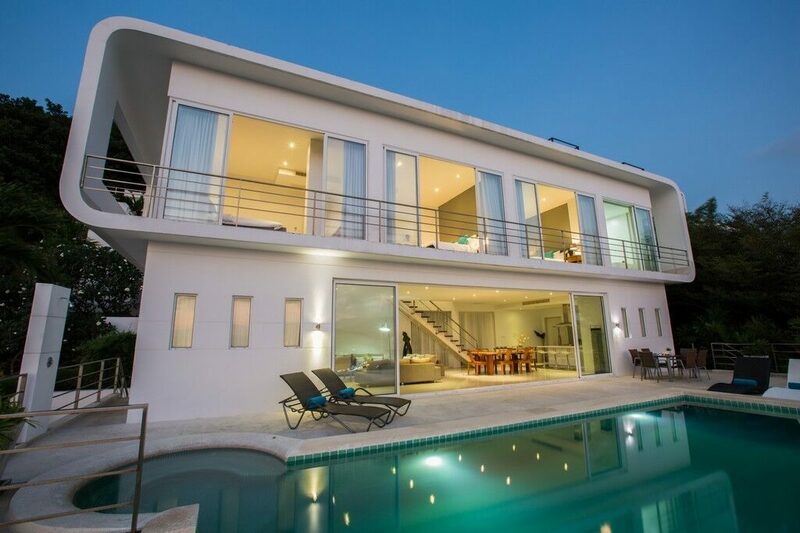 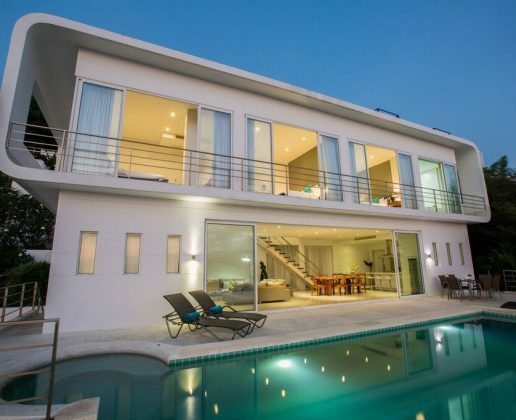 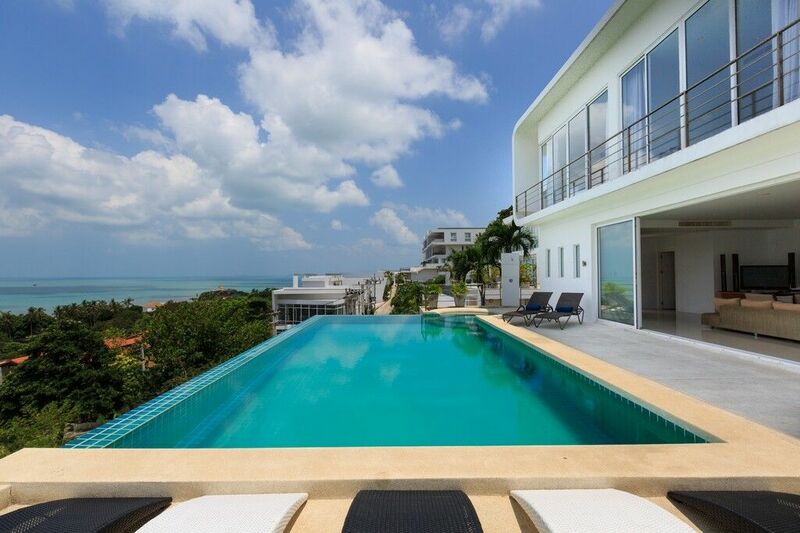 This modern 4-bedroom sea view villa features a large living space opening onto a spacious pool terrace. 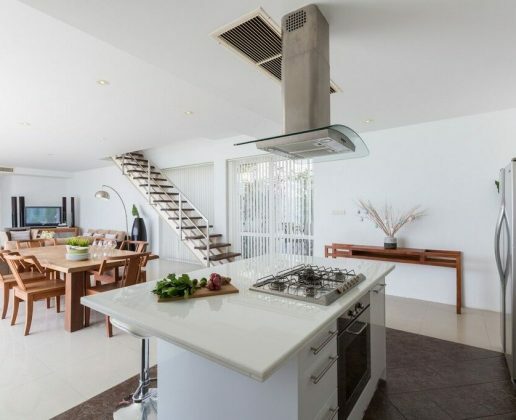 The fully air-conditioned interior living space hosts a modern kitchen with island feature, large dining table and a lounge area with 55″ smart TV with satellite channels. 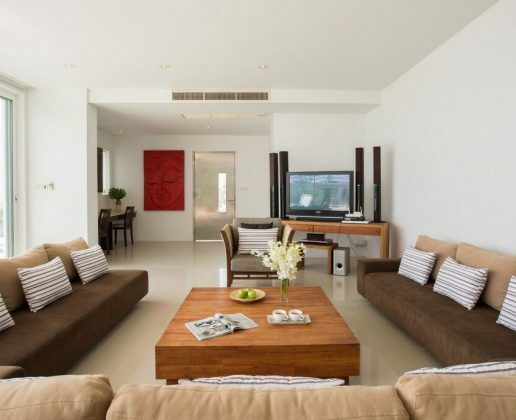 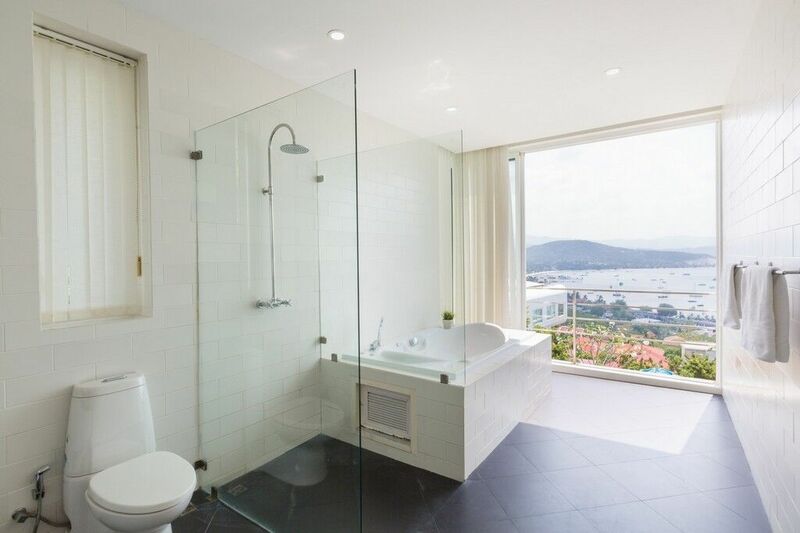 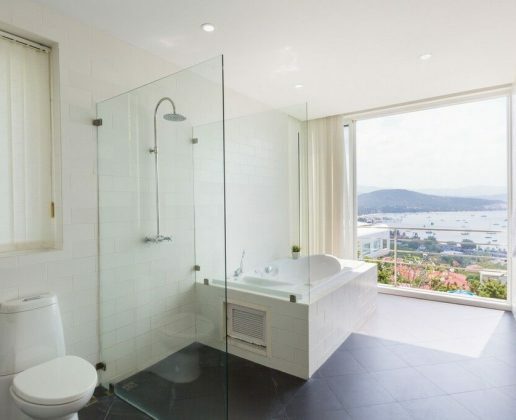 The living area is fully air-conditioned and also offers a guest WC. 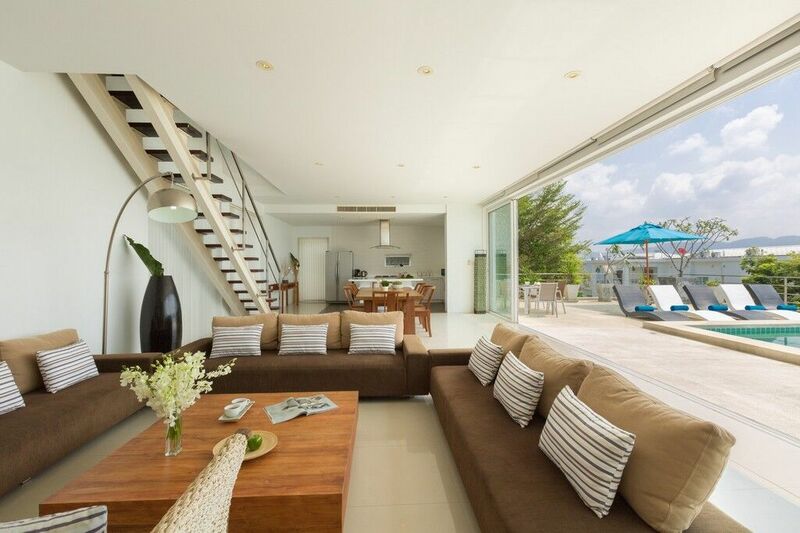 Outside, the villa offers 10 comfortable sun loungers, 4 large indoor/outdoor beanbags and 60 sqm private swimming pool featuring a Jacuzzi. 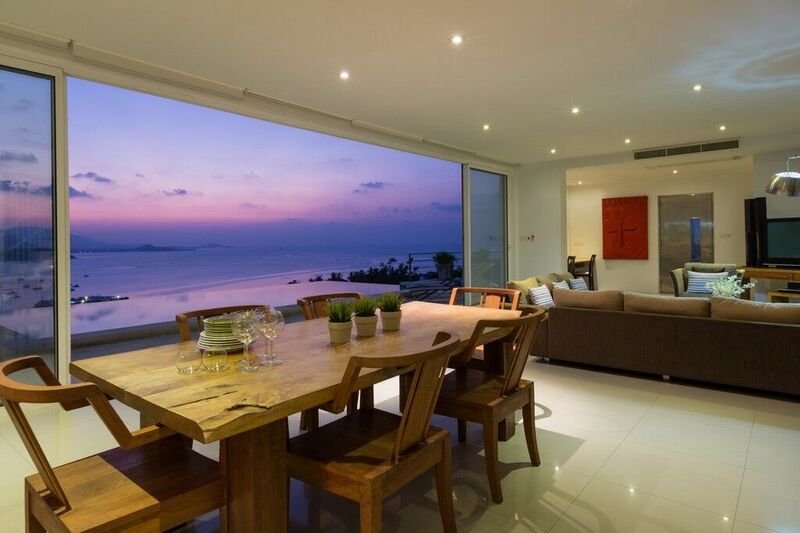 The property faces inspiring tropical sea and sunset views with fully sliding doors that successfully blur interior and exterior living. 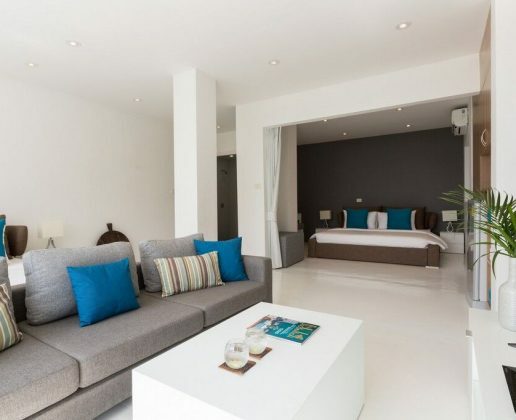 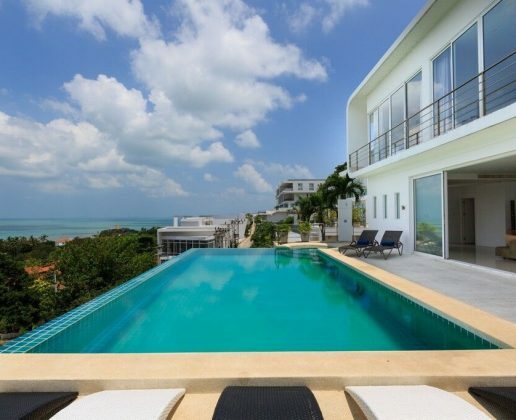 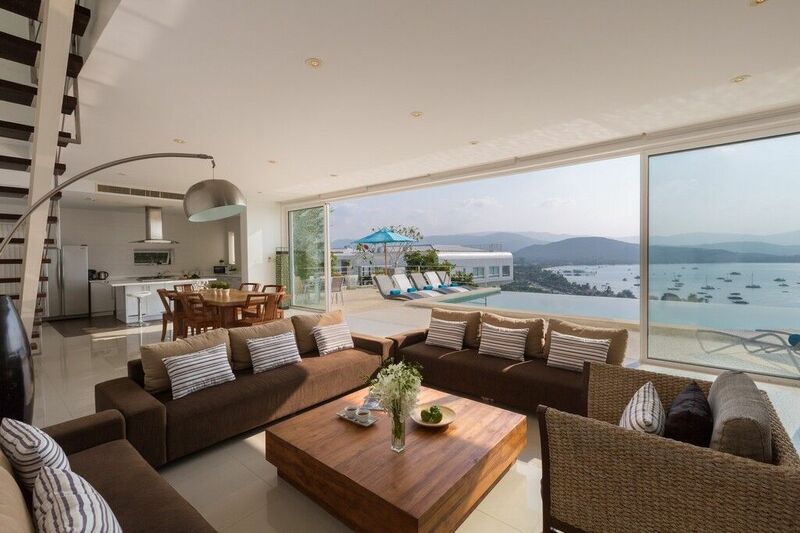 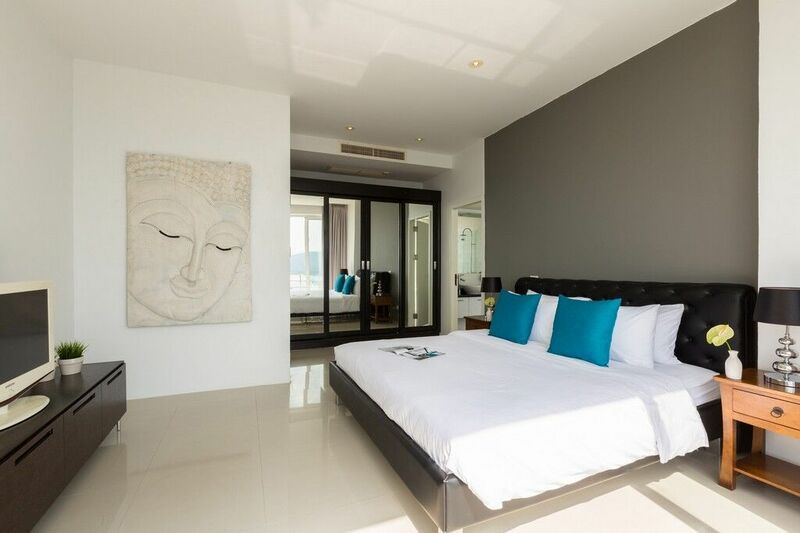 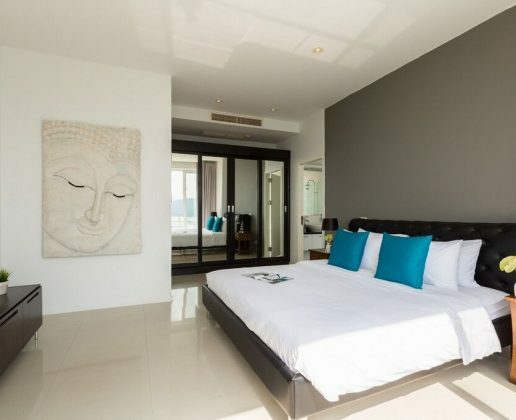 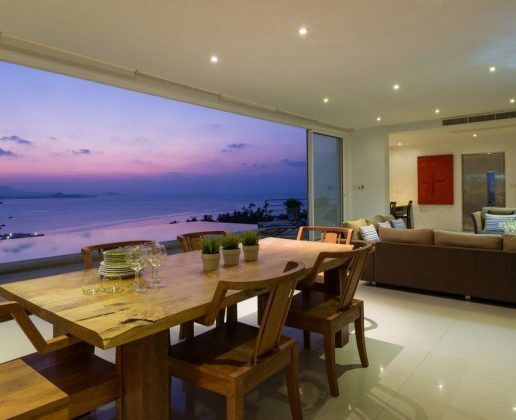 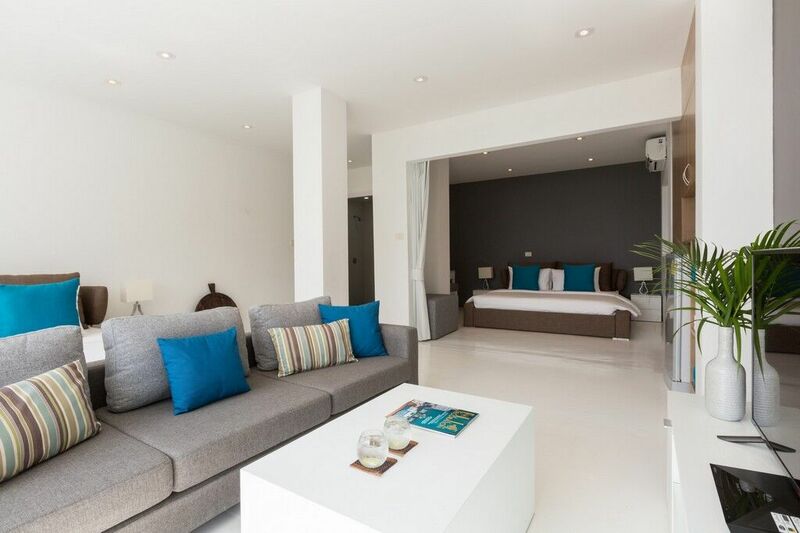 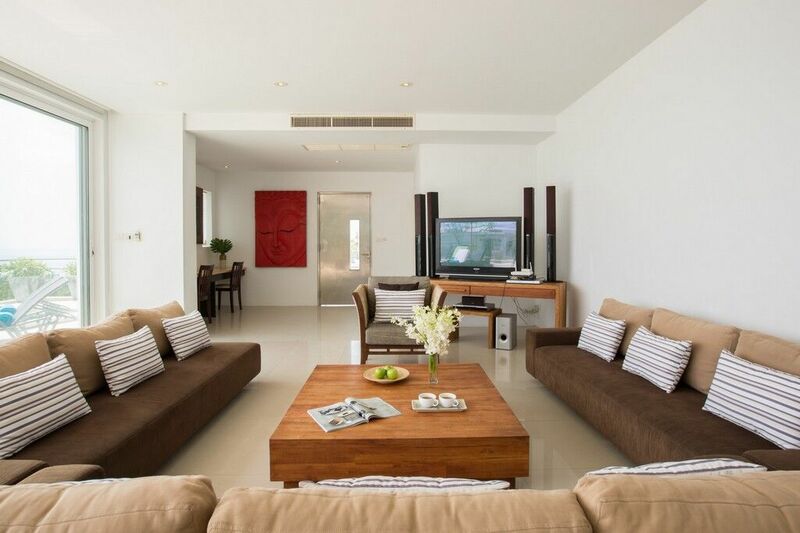 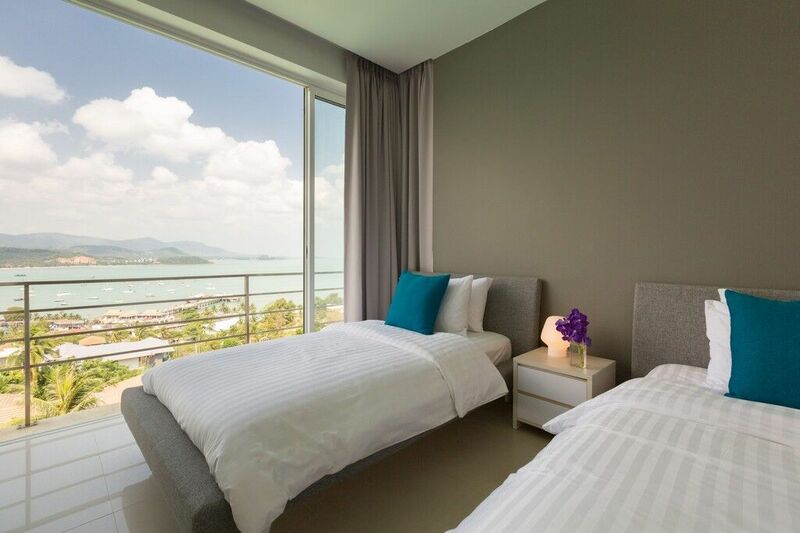 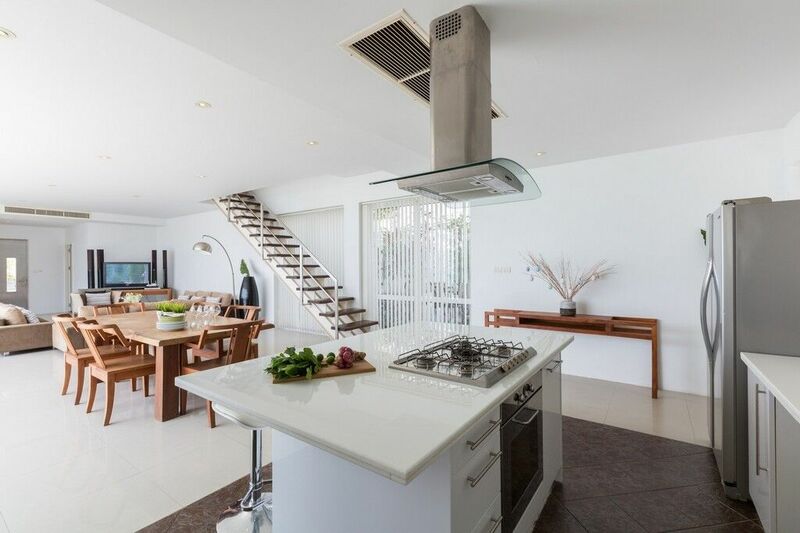 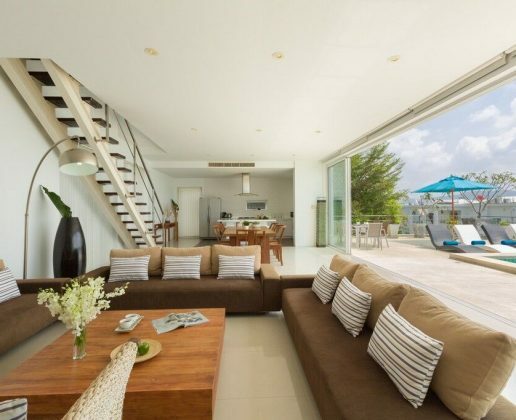 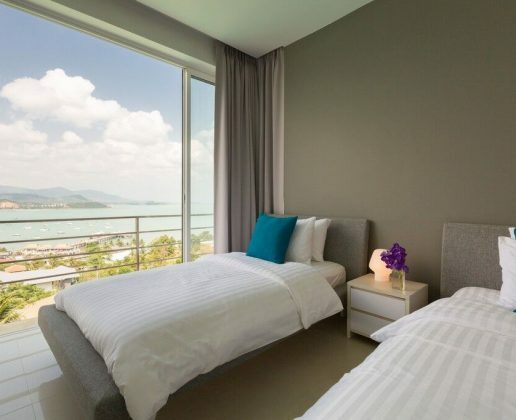 It is the perfect holiday rental property for those seeking a spacious, modern villa with spectacular views in a convenient location right in the heart of the NE of Koh Samui. 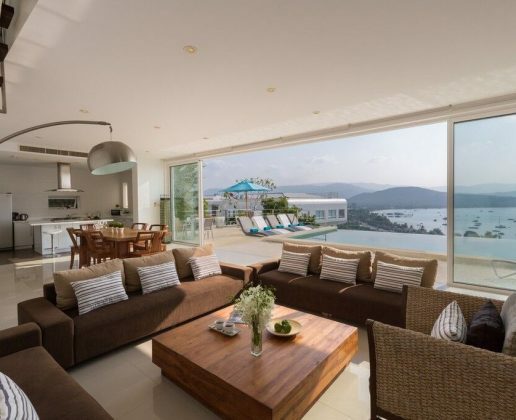 Ideal for both extended families and groups of friends.